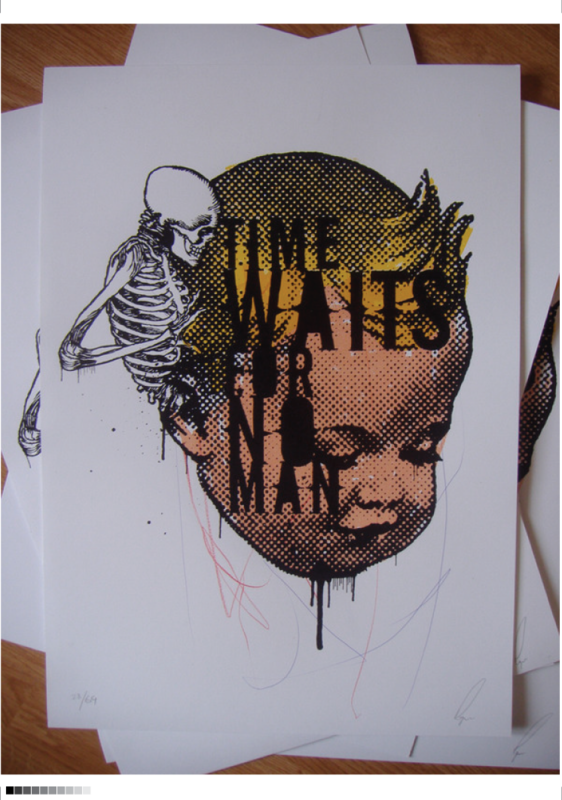 We first printed for Kerry at the end of 2009, creating the striking edition of prints titled ‘Time Waits for No Man’, edition of 69, 3 colour screenprints on A2 300gsm acid-free, cotton rag. Each print was hand finished by Kerry who popped into the studio armed with a selection of mark-making tools, and proceeded to loosely yet precisely etch a scribble onto each print… (sometimes one colour, sometimes many, on some prints a well behaved squiggle, on others we had to physically drag him away for fear he might damage the print table underneath), so each one really is unique! 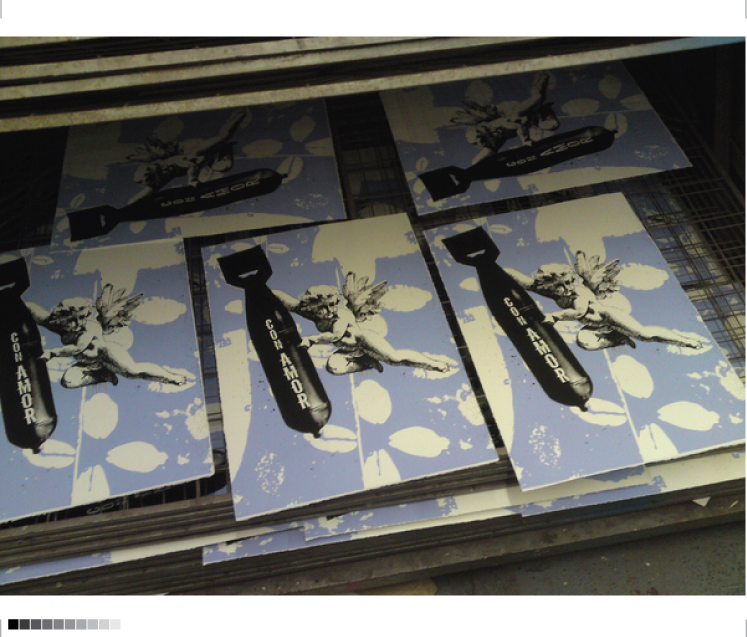 In February of 2010, just before Valentine’s Day- we printed and launched the second of Kerry’s screenprints- ‘Con Amor’. 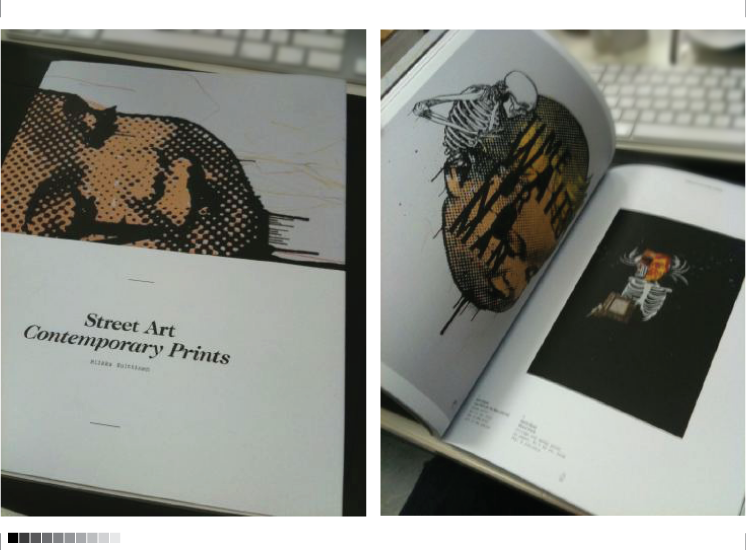 An edition of 69, 3 colour prints on 310 gsm Somerset paper- 4 deckled edge. ”The exhibition showcases the work of some of the biggest artists in the street art community such as Banksy, Shepard Fairey, Sickboy, Pure Evil and D*Face.